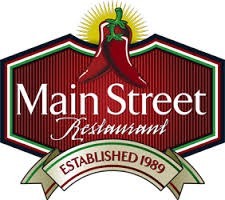 We are back at Main Street Restaurant in 2019. 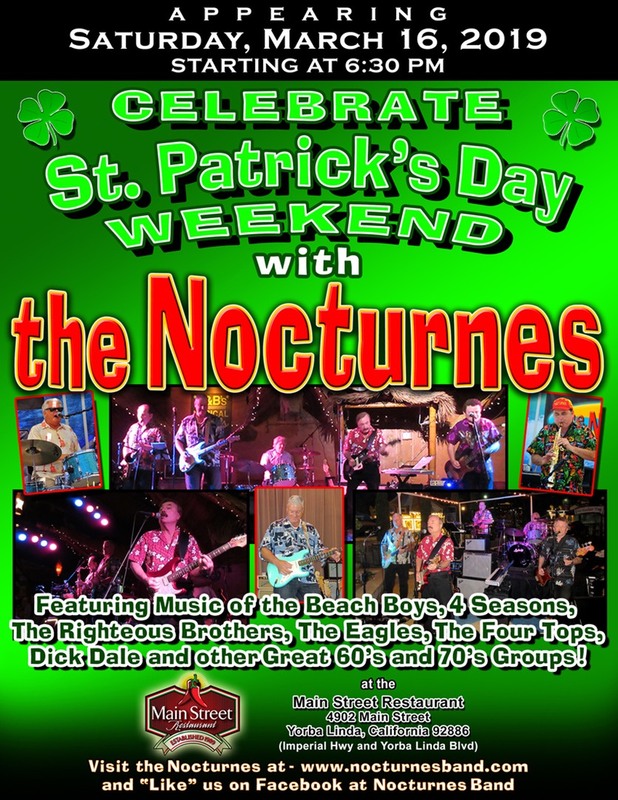 Third Saturday of the Month from 6:30 to 10 PM! 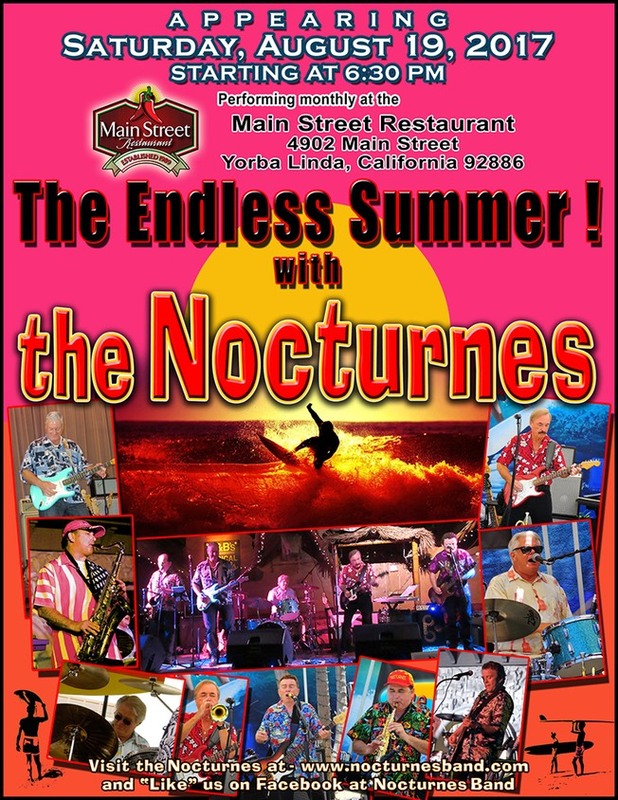 We play for the opening dance party on Saturday night and all afternoon Sunday for the car show. 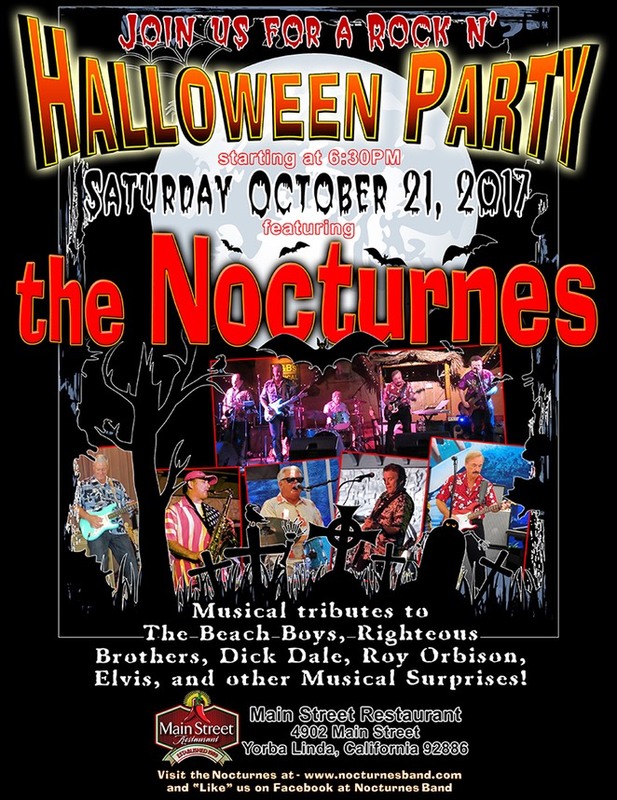 Nipomo, CA. 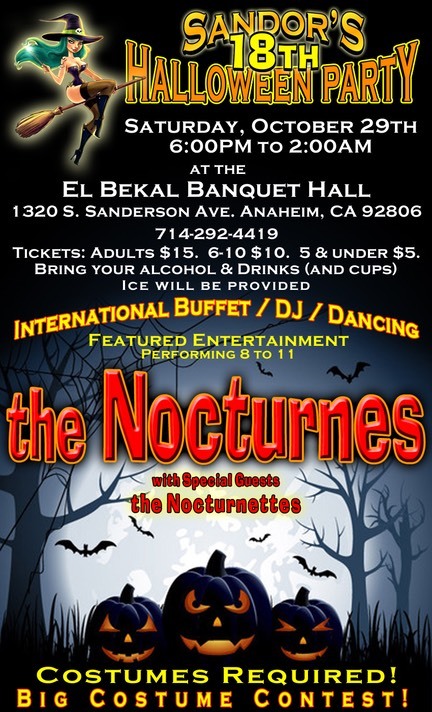 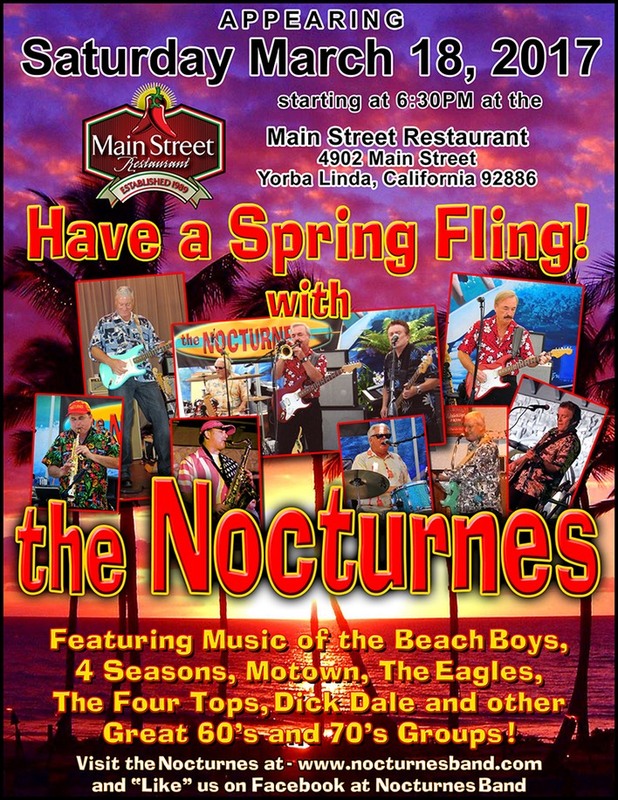 March 16, Saturday at Main Street Restaurant, Yorba Linda. 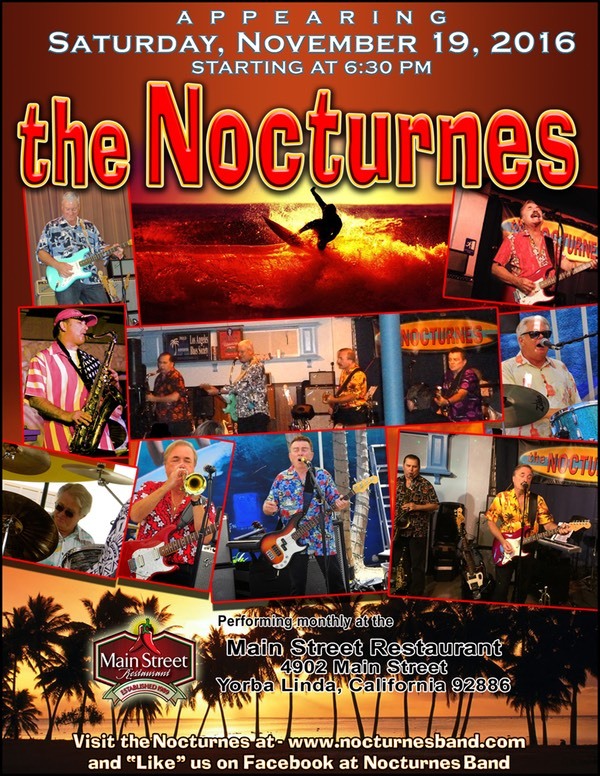 6:30-10 pm. 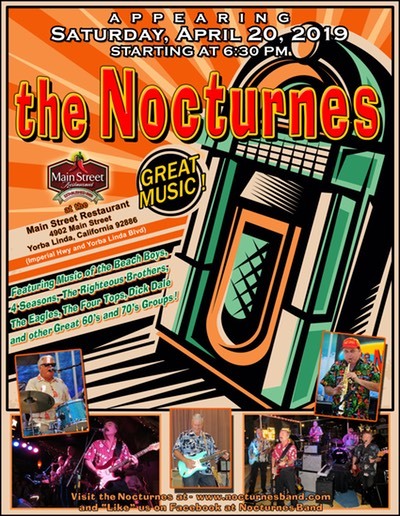 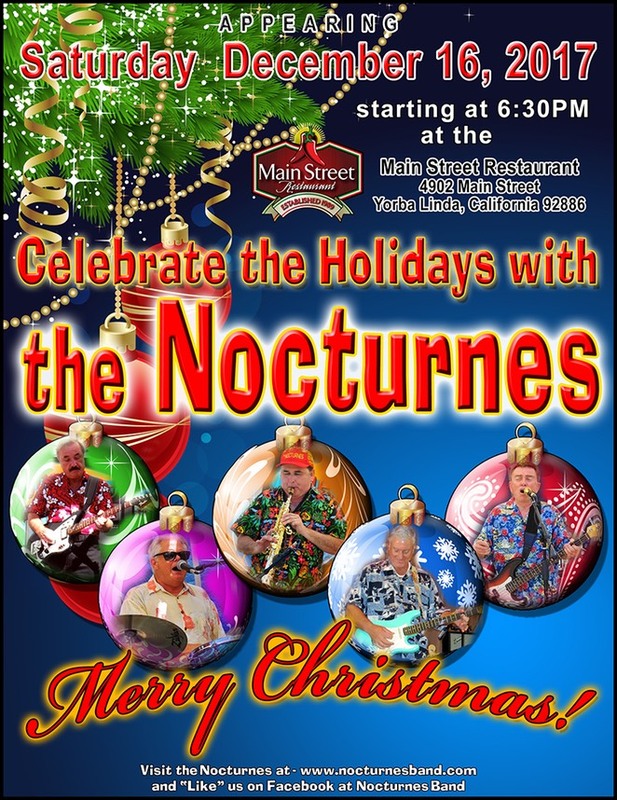 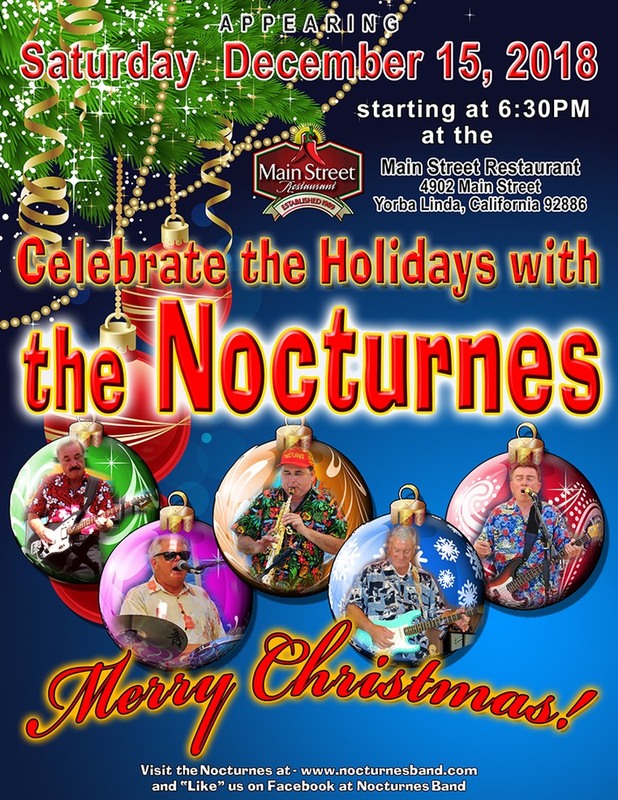 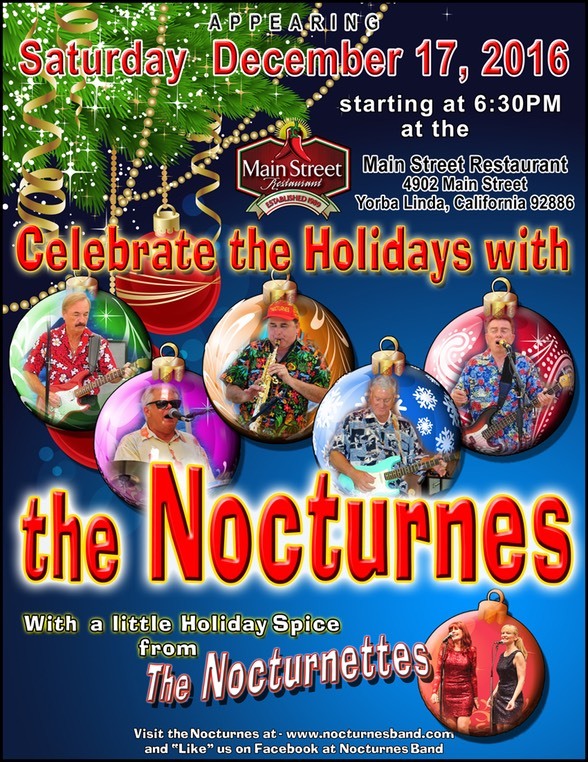 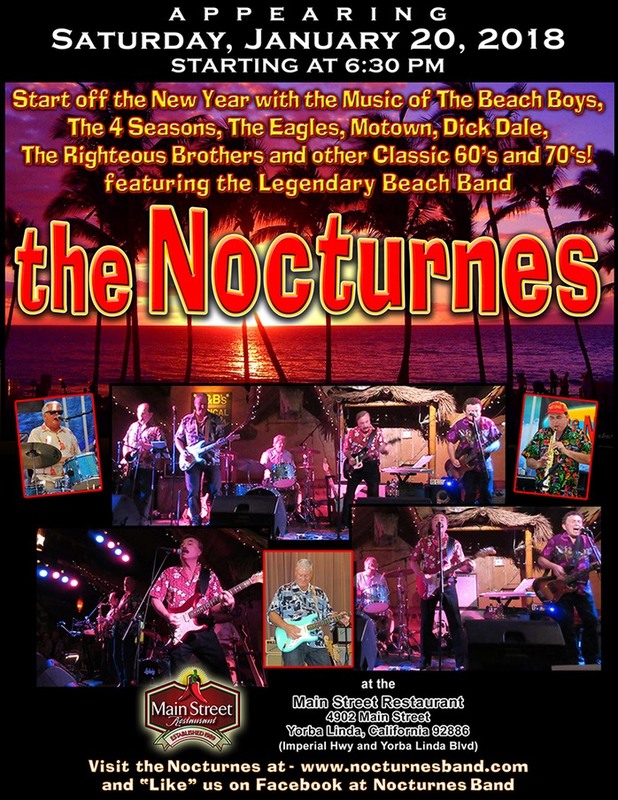 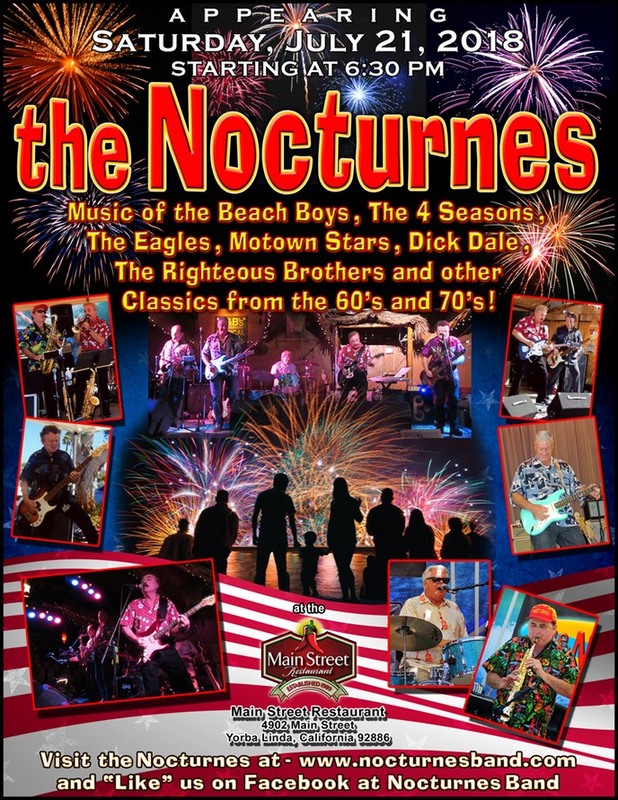 February 9, Saturday at Main Street Restaurant, Yorba Linda. 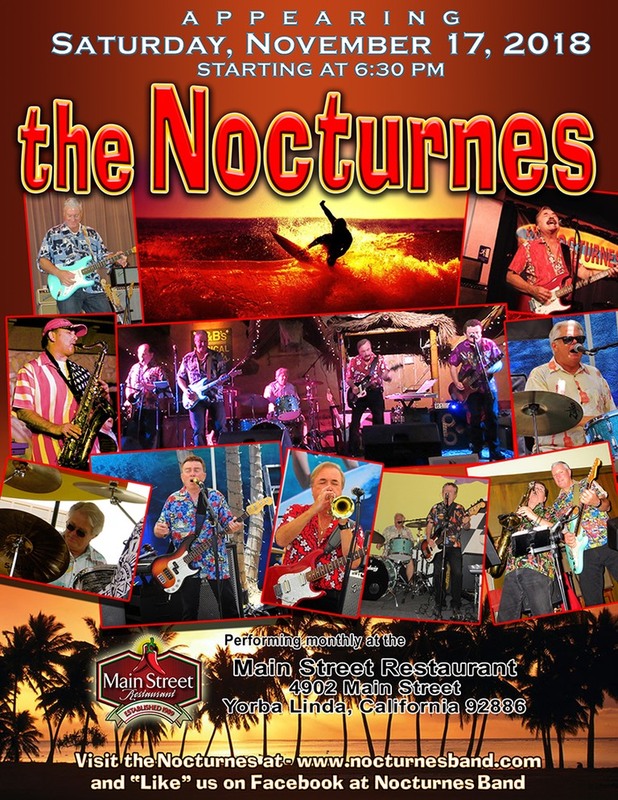 6:30-10 pm. 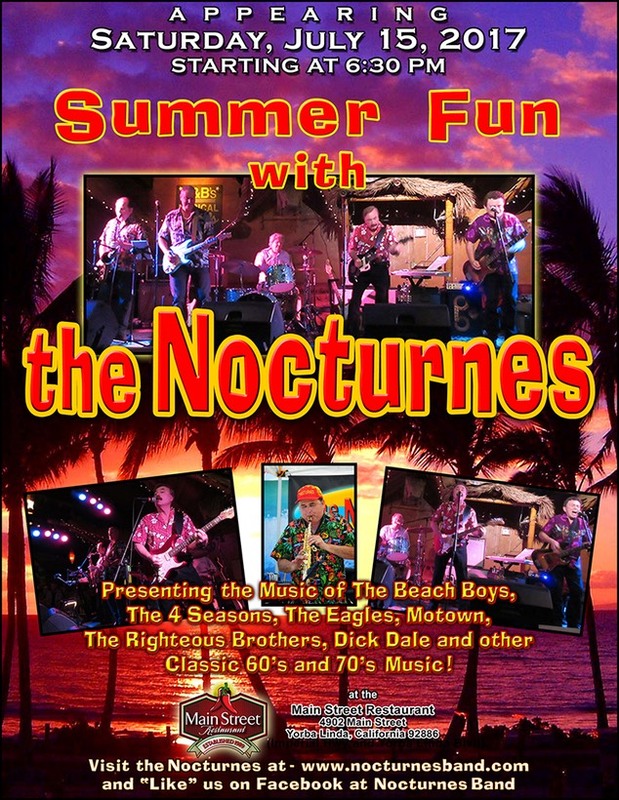 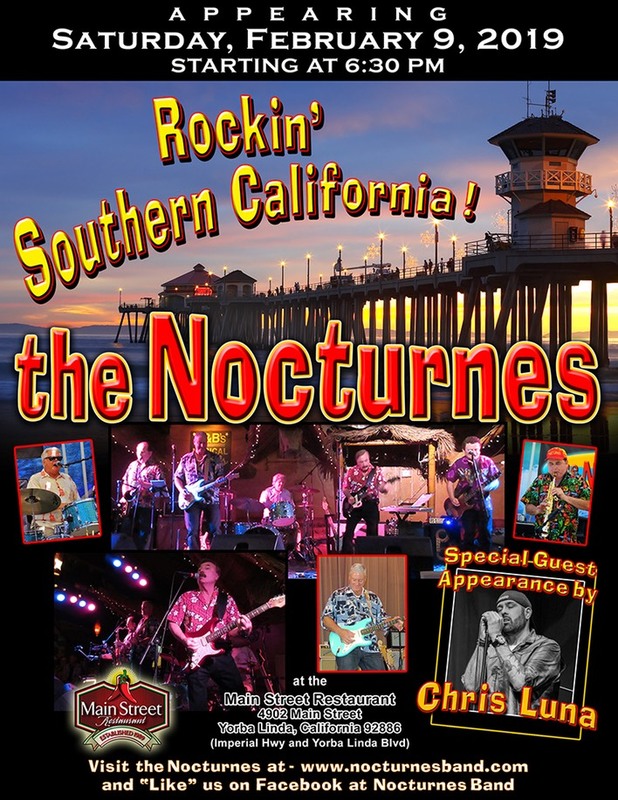 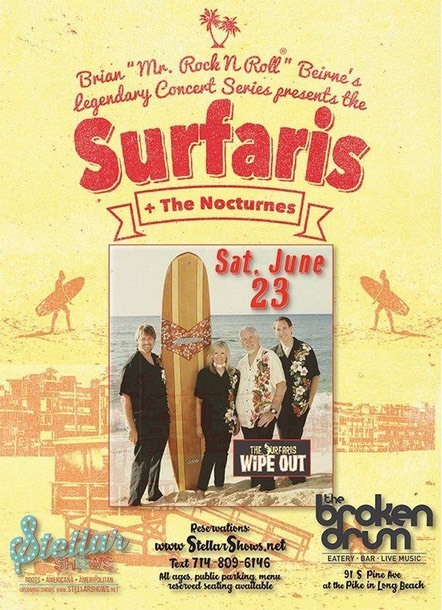 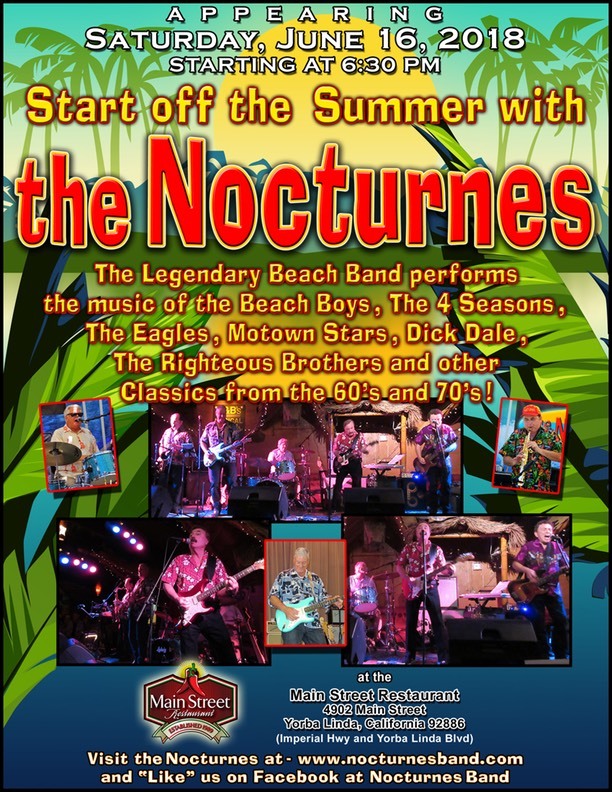 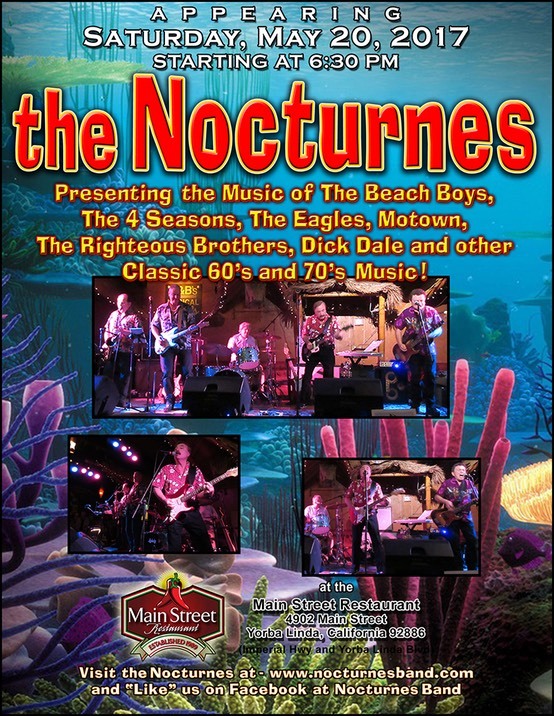 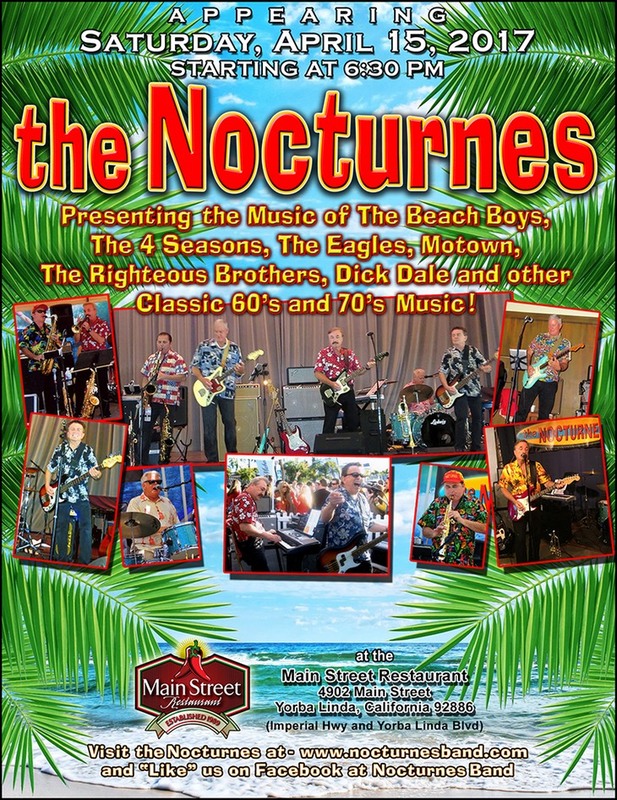 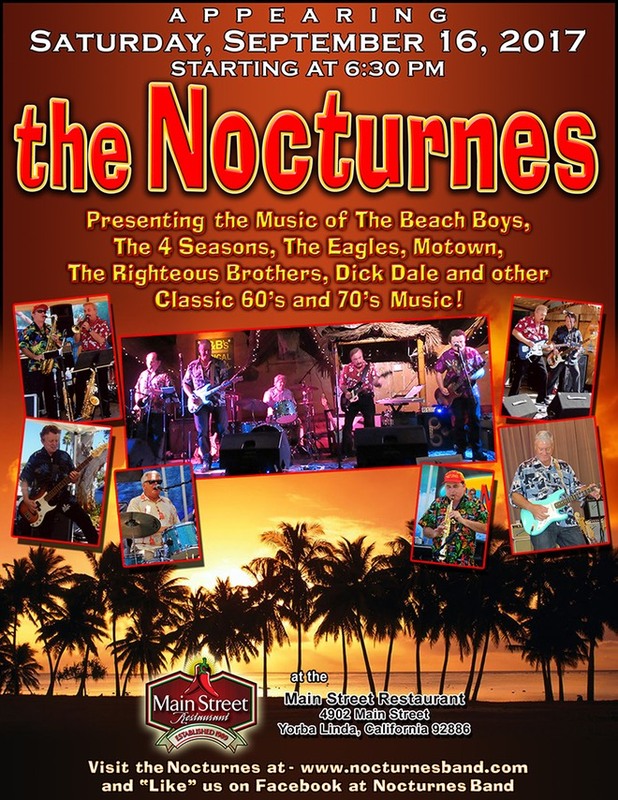 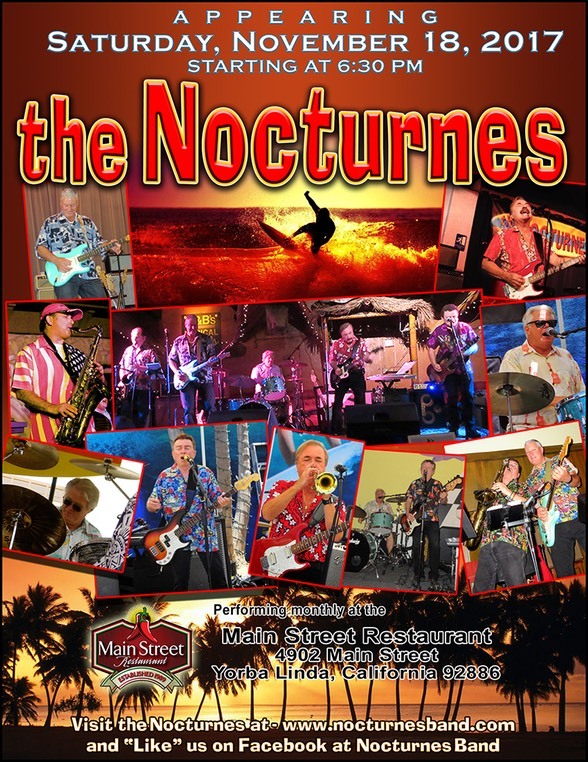 June 23: We open for the Surfaris on Saturday, June 23 at the Broken Drum in Long Beach 8-9 PM. 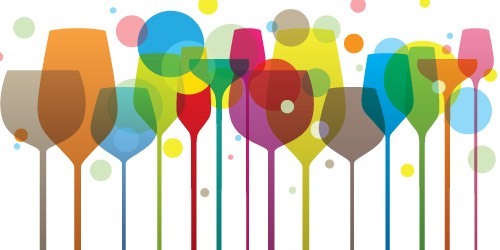 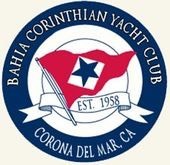 Saturday, April 28, Private Party in Corona Del Mar. 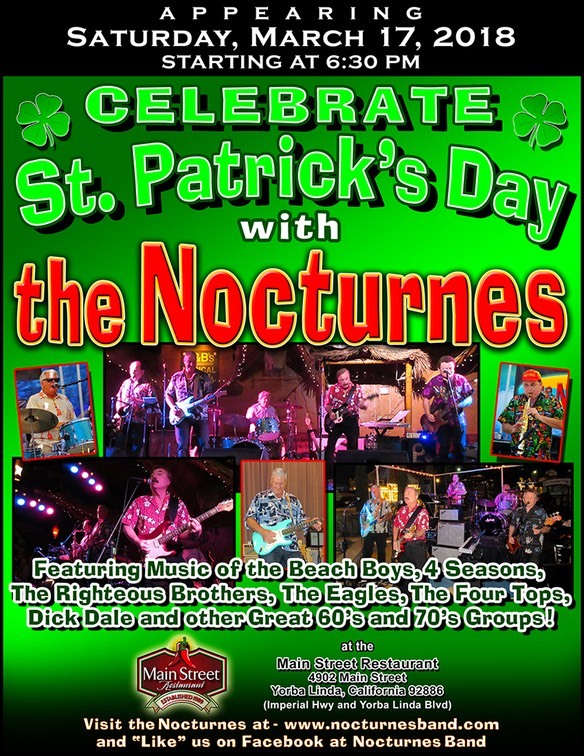 Sunday, April 29, City of Mission Viejo. 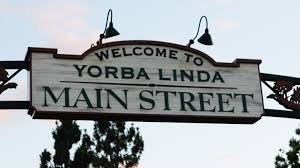 2-4. 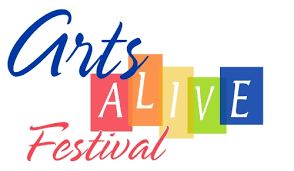 Arts Alive Festival…Norman P. Murray Community Center, 24932 Veterans Way, Mission Viejo. 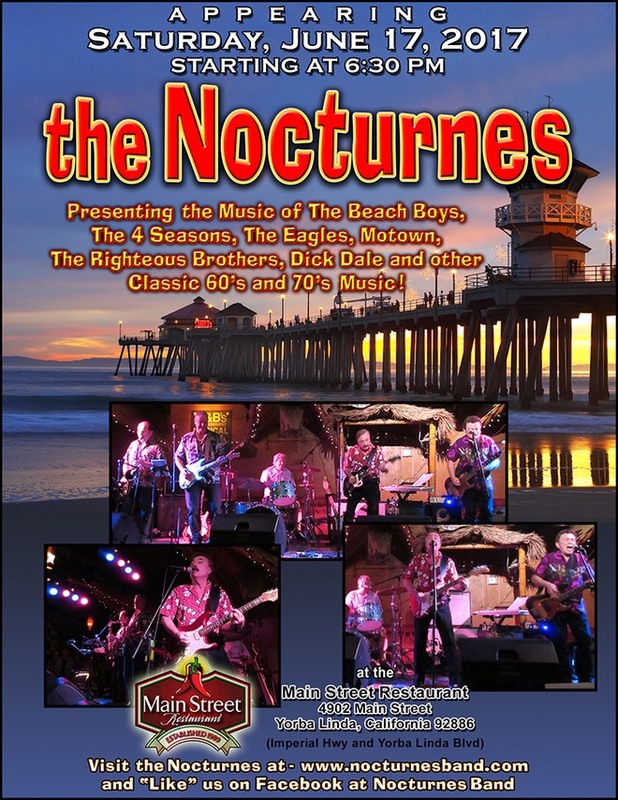 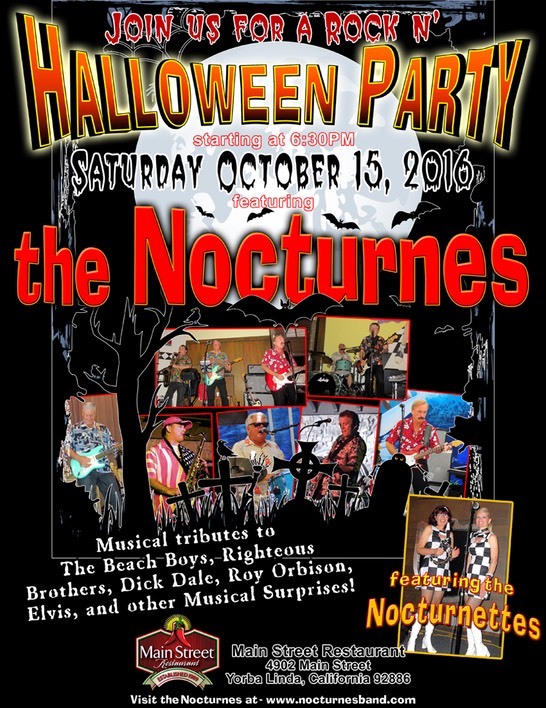 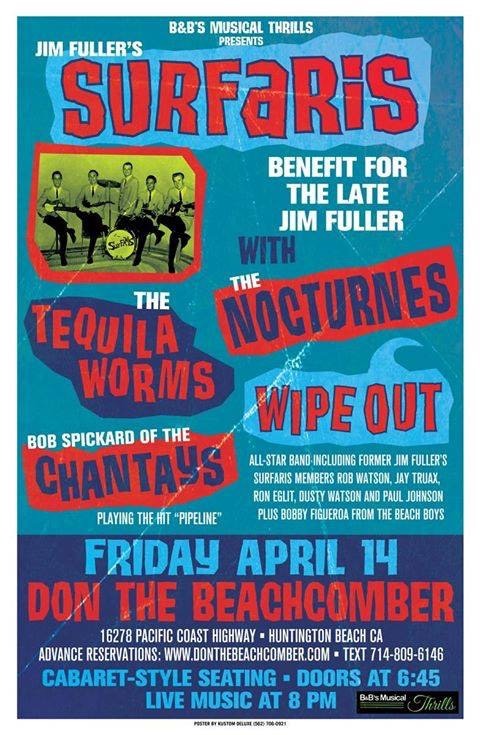 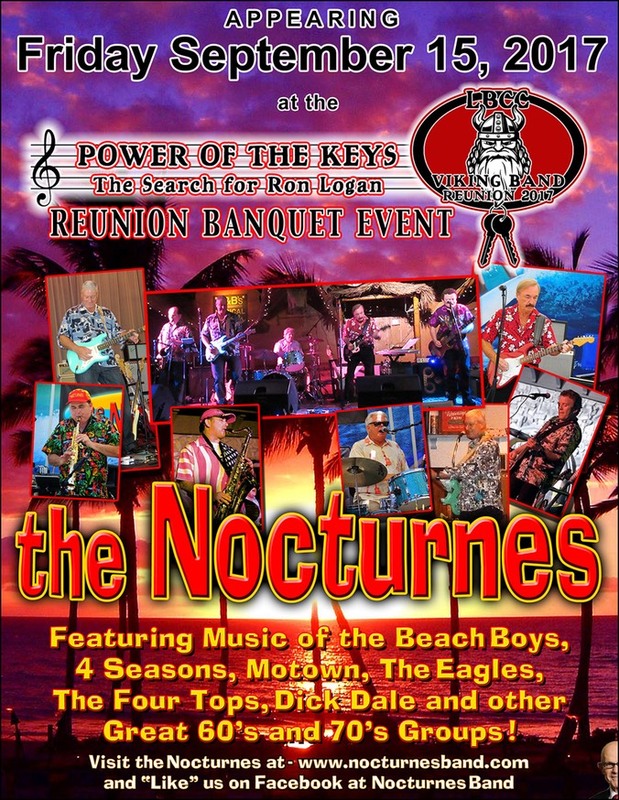 April 14, Don the Beachcombers in Huntington Beach…We will be on from 8-9 PM.